Pinterest is more than just a photo and video-driven community for people interested in food, fashion, weddings and lifestyle: it’s become a marketing force. Recent studies have shown that it’s a massive driver for referral traffic to websites, exceeding Google+, YouTube, and LinkedIn combined. However, Pinterest can also appear to be a little intimidating for companies that aren’t in the lifestyle sector. Companies in manufacturing, IT, finance and other business-to-business sectors may worry that what they do is a bit too boring to promote on Pinterest. The good news is, that’s not the case at all – as you’ll see later in this article. But first, here’s a quick overview of what Pinterest is, and how it works. To pin content onto your board, you can click on “upload a pin” for offline content (from your network, for example), or “add from a website” to pin content from another site. Other Pinterest users can choose to “follow” your brand, and you can follow others. Once a user has become your follower, each pin made by your brand appears in that user’s Pinterest newsfeed. Pinterest users can ‘repin’ content, which spreads content further on newsfeeds; much like Facebook, they can also ‘like’ content, and comment on it. So it’s easy to populate and use – and like Twitter, the key to success is how you use it, and the content you share. As mentioned earlier, you might think that a conventional business, such as a manufacturer, wouldn’t really benefit from using Pinterest, as what they do is a little boring, technical and not all that exciting. However, by simply using the right content and a little creativity, it’s possible to approach your target audience in an easy and relatable way. Here are two excellent examples of manufacturing companies that have done just this. General Electric found an effective way to use Pinterest to its benefit, gaining more than 20,000 followers by taking a creative approach to what it showcases. The company’s bio states that it pins items that inspire it to build, power, move and cure the world. With this in mind, General Electric has created boards like ‘Badass Machines’, filled with striking images from the factory floor, and ‘Quick and Easy Makeover’, that shows images of how to show off your rooms using GE Reveal light. In addition, GE has cleverly uploaded its brand’s values and objectives. To reflect the work GE do to in supplying healthcare technology, the board ‘Cancer Pintherapy’ reminds its followers about how they work to make the world a healthier place. Cambro is a manufacturer and supplier of equipment to the food service industry worldwide. 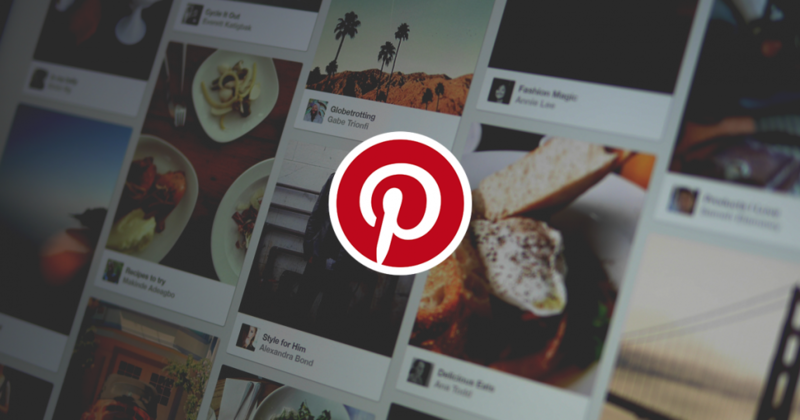 Its Pinterest focuses on food, sustainability, and of course its own products. It invites followers to participate in challenges, which increases interaction with followers that can be difficult to achieve in the manufacturing industry. You might think that this could be done on Instagram or Twitter, however using Pinterest allows Cambro to incorporate all of its social media platforms and gain more followers. The company also includes its YouTube videos on Pinterest boards, to showcase a wide range of content for people to access. Based on these examples, here are some useful pointers that any company can use to boost its online engagement via Pinterest. To introduce your company to a wider audience, start working with local businesses and create relevant campaigns. For example, if you are manufacturing for the food service industry, why not collaborate with restaurants and showcase your products on Pinterest? Another option is to work together with local schools and universities to create visual competitions, to highlight and establish relationships with your local community. Pin and repin brand-related posts to show your interest in the industry. This way, you’ll build your own brand on Pinterest and people interested in that area will follow you. When you start gaining attention on Pinterest, it’s important to optimise your company website. Include landing pages in your pins’ descriptions and brainstorm images you could pin that represent something normally gated behind a form, such as a new product design. In the description of the product, include a link to the landing page which then leads directly to a blog post about the product on your website. Don’t forget to include more call-to-action options around your images, which provide visitors with a further step to engage with your business on all pages of your website. In effect, Pinterest can become a ‘shop window’ for all aspects of your business’ online activity – drawing together blog content, tweets, videos, downloadable material and more. This helps increase the shareability and likeability of your brand, and online interactions with followers, which is something any company could get on board with.